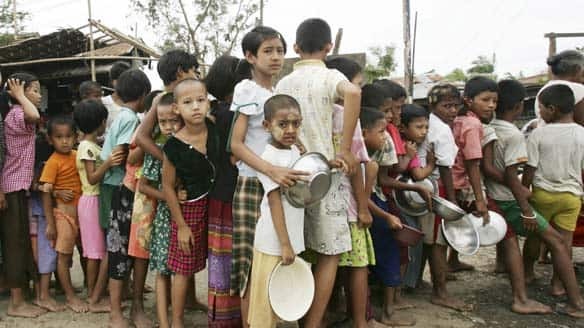 YANGON, Myanmar (AP) – United Nations helicopters fanned out across Myanmar’s Irrawaddy delta Monday, a UN official said, ferrying critical supplies to villages struggling to survive since a devastating cyclone struck more than five weeks ago. 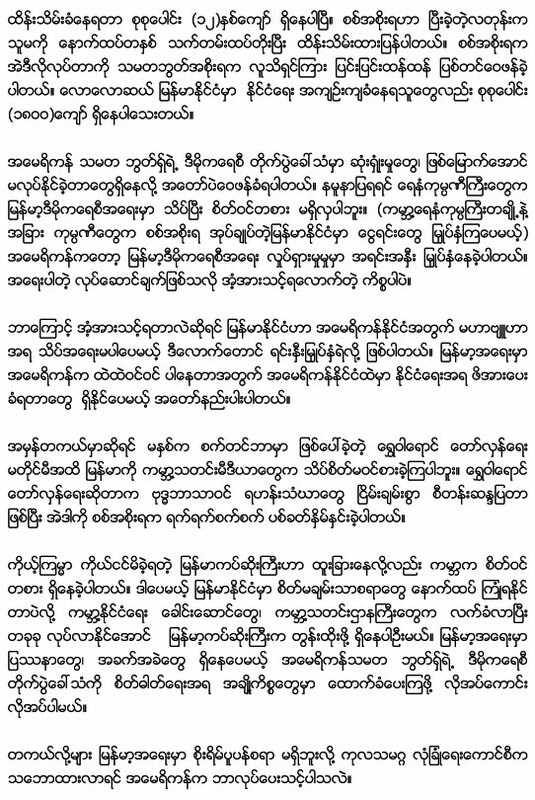 AP YANGON, Myanmar: Myanmar’s prime minister says the military government will give enough assistance for survivors of last month’s Cyclone Nargis to make their lives even better than before the disaster struck. UN helicopters have reached Burma’s devastated Irrawaddy Delta for the first time, ferrying critical supplies to villages which have been struggling to survive since the May 2-3 cyclone. WASHINGTON, June 6 (Xinhua) — U.S. President George W. Bush said here Friday he is impressed by China’s firm response to the earthquake disaster and he is happy with the progress of the relief efforts. “There’s no question this is a major human disaster that requires a strong response from the Chinese government, which is what they’re providing,” he said during a meeting at the headquarters of American Red Cross focusing on the U.S. response to the May 12 earthquake in China’s Sichuan province. “There will be more work that needs to be done. My message to the Chinese government is, thank you for welcoming our aid. Thank you for taking a firm response to this disaster, and just know the American people care about the people of China. When a brother and sister hurts, we care about it,” he said. Bush also praised the U.S. nongovernmental organizations, the business sector and charities for their compassion and donations in response to the earthquake. The meeting is hosted by the American Red Cross, Business Roundtable and the U.S. Chamber of Commerce. The participants, including Bush, Secretary of State Condoleezza Rice, Secretary of Treasury Henry Paulson as well as leaders from U.S. nongovernmental organizations, the business sector and charities, were briefed by China’s ambassador to the United States Zhou Wenzhong by the latest information on the situation in Sichuan and long-term relief and reconstruction needs. Zhou later told Xinhua that China appreciated U.S. help to the relief efforts, saying it is an example of the China-U.S. constructive and cooperative relationship. The two countries are always helping each other in times of need, and China has donated 5 million U.S. dollars in aid to the United States when Hurricane Katrina struck southern U.S. states in 2005, he said. Zhou said a high-level U.S. delegation headed by a deputy secretary of state will soon visit China and assess relief and reconstruction needs. WASHINGTON, June 6 (Xinhua) — The American Red Cross Friday pledged an additional contribution of 10 million U.S. dollars to support the China earthquake relief and recovery efforts. Bonnie McElveen-Hunter, chairman of the American Red Cross, made the announcement at a roundtable meeting focusing on the U.S. response to China’s earthquake. BRUSSELS, June 6 (Xinhua) — A European Union (EU) high-level official spoke highly Friday of the Chinese government for the way it has handled the earthquake situation in Sichuan Province. “I have the utmost respect for the way the Chinese government is dealing with this difficult situation,” said EU External Relations Commissioner Benita Ferrero-Waldner. Reuters, AP YANGON, Myanmar: Five UN-chartered helicopters landed in Myanmar this weekend to help with cyclone relief efforts, but many problems still hindered efforts to help victims of the May 2-3 storm. 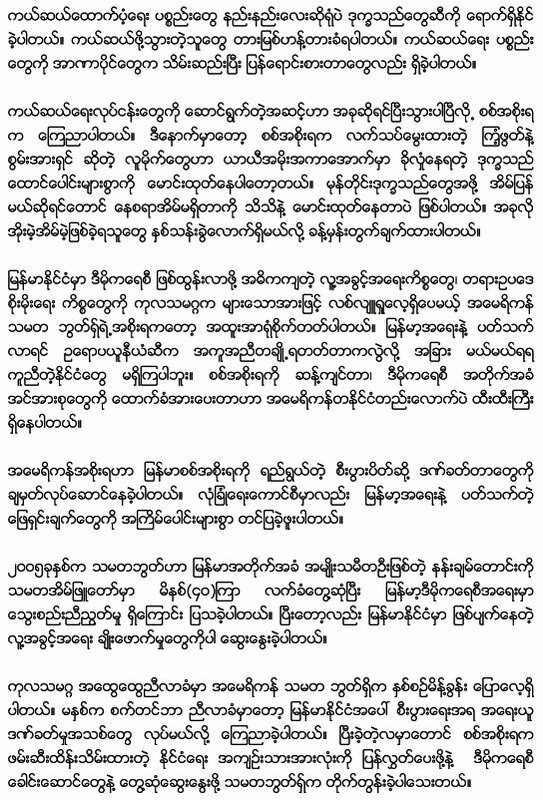 By VOA News Burma’s military government denies forcing survivors of Cyclone Nargis out of emergency shelters and back to their devastated villages. “There are a number of Myanmar citizens from what I would call the diaspora in other countries and they’ve come home. YANGON, Myanmar (AP) – Tens of thousands of people killed in last month’s cyclone may never be identified because their bodies have decomposed so badly and many ended up far from home, an aid organization said Sunday. … small portions of rice to return to their ruined villages. It says other storm victims were forced out of schools so that classes could resume last week. Yangon – A Japanese medical team handed over a clinic and equipment to the Myanmar government Sunday after spending nine days treating more than 1300 patients in Labutta, a town in the Irrawaddy delta that was hard-hit by Cyclone Nargis. 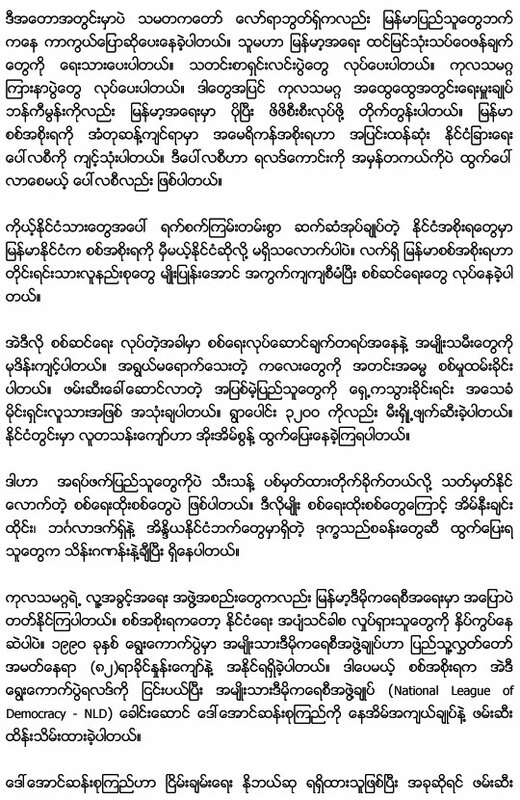 Reuters – Sun Jun 8, 4:37 AM ETYANGON (Reuters) – Myanmar’s military government denied on Sunday it was evicting victims of Cyclone Nargis from relief camps, saying it was working on a voluntary resettlement program more than a month after the disaster. Nargis Help – wiki and blog that provides links to news, relief operations, and other Cyclone Nargis-related resources. Myanmar Ministry of Foreign Affairs – site includes a profile of the country. Myanmar Information Committee – government site that includes annual ‘information sheets’ with updates on the political situation in the country. Daw Aung San Suu Kyi – site created to honor the Burmese resistance leader and Nobel laureate. Includes speeches and interviews, a biography, and more. 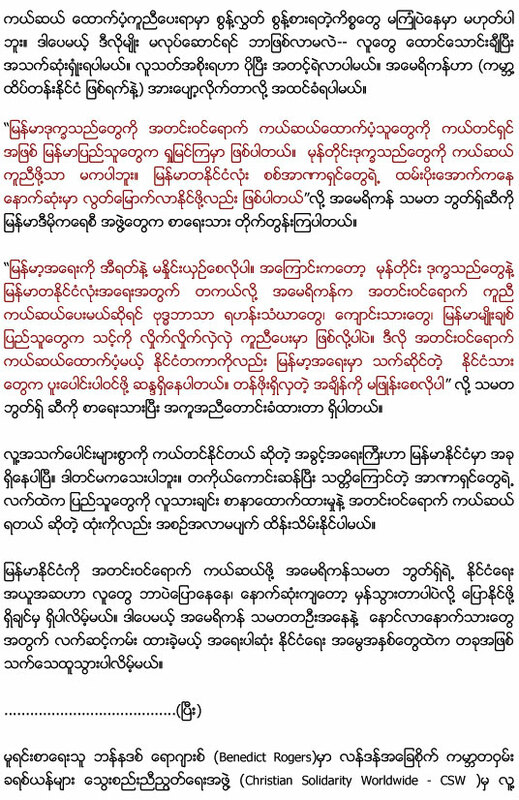 Aung San Suu Kyi – profile of the Burmese opposition leader and 1991 Nobel Peace Prize laureate, from the BBC. 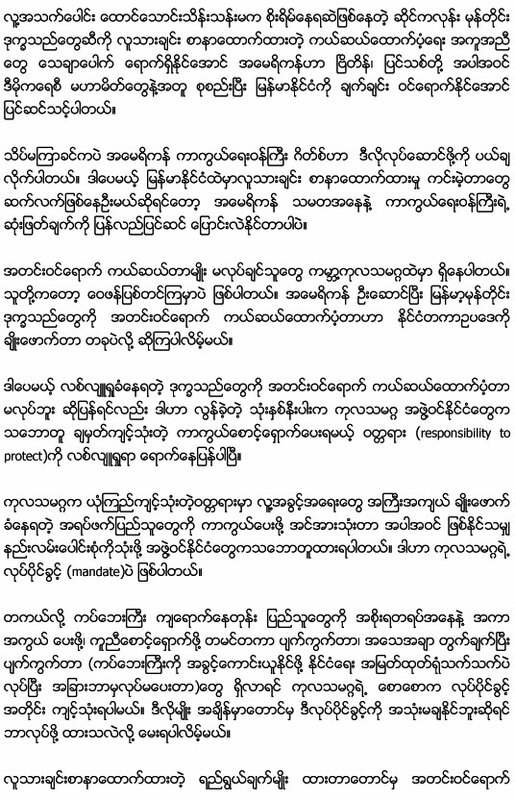 Nobel Peace Prize: Aung San Suu Kyi – features her profile and the 1991 acceptance speech in her honor. Refusing help ABC News– The country’s repressive government deems foreign aid foreign interference. Aid slow to Myanmar CNN– CNN’s Dan Rivers talks to WFP’s Tony Banbury who makes a plea for aid to be allowed in. Raw video of cyclone AP– Newly released video shows the cyclone that slammed into Myanmar. Myanmar Prime Minister dies REUTERS – Soe Win, best known for allegedly orchestrating an attack on leader Aung San Suu Kyi, has died at age 59. Protests against Myanmar junta Reuters – Activists in Australia and the Philippines call for democracy in Myanmar. Facing Sanctions? 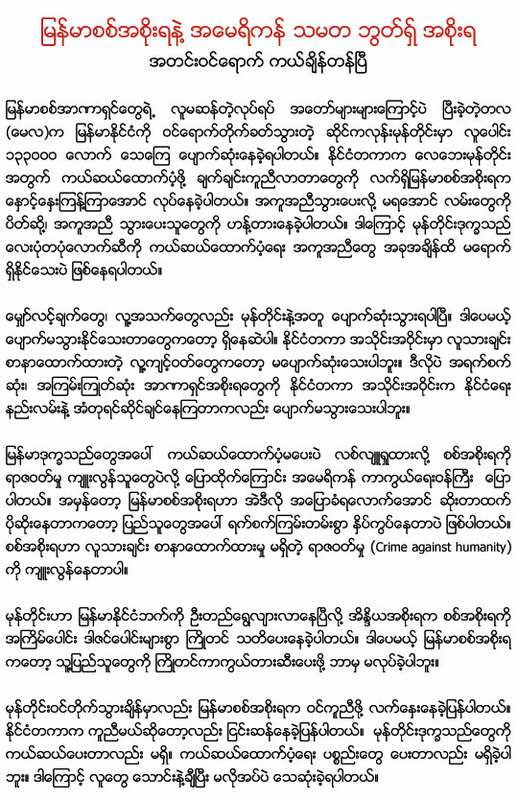 FOX News – Laura Bush sends stern message to Burma following anti-democracy crackdown.